The boutique hotel is a luxury hotel, but it’s a small luxury hotel. The number of rooms is usually lesser than any grand and big luxury hotel. The frenzied activities of launches, exhibitions and other such bustling activity are pleasantly absent. That makes for a very quiet and intimate setting. A pace that actually lets your discover the art of doing nothing and seeing time pass by most leisurely. A truly relaxing and laid-back mood can be experienced. Though the size is small the comforts or the luxury is not compromised. The services are extremely personalised. The staffs are always willing to go that extra mile and at times almost become like a family. When such a hotel and its services combined with the much-renowned caring hospitality of South East Asia one can truly bask in the warmth and comfort of a boutique hotels and that too at affordable prices. In Langkawi, Malaysia there an amazing resort the Bon Ton Resort that is a cluster of eight villas. 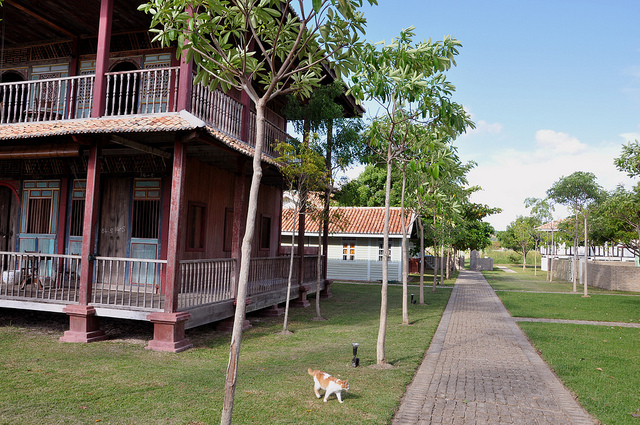 These villas are built on a hindered old coconut plantation land, and have timber houses that are most tastefully done to recreate the environs of a village setting. The villas have quaint name, and one can enjoy he wonderful view of the lagoon from each of them. All amenities are taken into consideration, and one can avail Wi-Fi services, sarong and even slippers. The Mactan Islands, Philippines has an almost floating resort the Abaca Boutique Hotel that is built on the oceanfront. A very exclusive resort it accommodates very few and has onlysix suites and three exclusive villas. The interior of each of the rooms allows the view of the majestic ocean. Numerous services of the spa are on offer along with water adventure sports like snorkelling, jet skiing, kayaking and many others. Planning a visit to Thailand, there are quite a few such exclusive boutique holidays hotels. Sireeampan Boutique Resort and Spa in Chian Mai is exceptional for its warmth and welcoming atmosphere. Initially built for friends and family of a property dealer, the service is so exceptional that it has been awarded the ten best boutique hotels in Asia. Its Piano Lounge is the finest way to unwind. Looking for hidden beaches, then head to Krabi in Thailand. The Houben hotel has about fifteen rooms and does not allow kids below twelve. It is built on the top of a cliff and provides the lovely view of the Andaman Sea and an access to hidden beaches on that island. The suites are made within all price- ranges. True to a boutique hotel just small in size it has no dearth of any facilities from a spa, bar, restaurant and even an infinity pool. Hotel de la Paix, in Luan Prabang, Laos is another beautiful boutique hotel. The architecture is amazing and has been considered world heritage site by UNESCO. It has only 23 suites and is competitively priced. It originally was a French Colonial Fort. It is designed to resemble a Laos village, and only all natural products are allowed. One surely cannot miss its natural spa treatments.